Where to go and what you’ll hear depends on the day of the week, but rest assured the entertainment value far exceeds the price of admission. Performers run the gamut from local favorites like Jennie DeVoe and My Yellow Rickshaw to national artists like John Waite and Loverboy. Pack a picnic, grab a lawn chair and stake your claim to a patch of grass behind City Hall. This family-friendly concert series is celebrating its 15th anniversary with a stellar local lineup. On the other side of City Hall, local performers offer lunchtime entertainment in Liberty Plaza. Brown bag it—or better yet get carryout from Brixx Pizza or Flamme Burger—and settle in for a tune or two. Next year is this family concert series’ 25th anniversary, but it’s not waiting to celebrate. Organizers added three shows to the lineup, which now extends into September. Tempted to hop on your bicycle and pedal to the concert? There will be a chair waiting for you, courtesy of the popular “Bike There, Borrow a Chair” program. Kid-favorite Ruditoonz has children’s shows at 6 p.m. June 7 and Aug. 2. 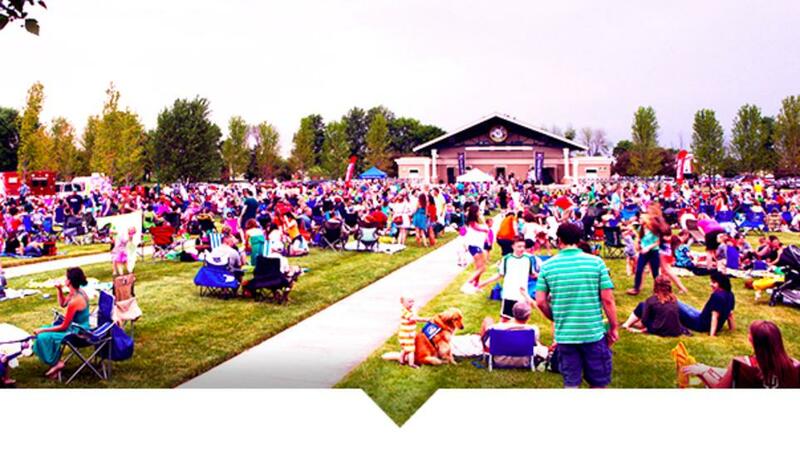 Two city parks continue to share annual summer concert duties in Noblesville, as they did before Federal Hill Commons opened this year. The new venue, located just west of the White River, includes a permanent amphitheater that is hosting tribute concerts July 15, Aug. 11 and Sept. 16. Finish shopping before closing time? Check out the Clay Terrace Lawn, located behind the playground, for an eclectic lineup of local favorites. Come early to wind down from a long week at Happy Hour in the District, a new addition to the Friday-night concert series. All of the concerts are free, but performances that are expected to draw a large crowd—such as the Aug. 4 Moon Taxi show—require tickets. The season wraps up with Blues Fest Weekend, Sept. 1-2. Enjoy sultry jazz tunes while wining and dining in Carmel’s Arts & Design District. Enjoy local performers while sampling food trucks and more. Pets are welcome. A summer tradition since 1998, these performances feature community bands and area orchestras.